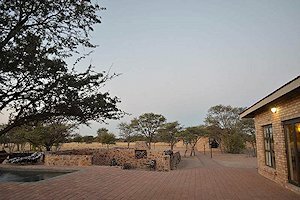 South Africa's Kalahari region is a semi-arid savanna where ASH Adventures conducts lion and plains game hunting safaris. The Kalahari region in South Africa's Northern Cape province is a semi-arid region that sustains a surprisingly wide variety of wildlife. 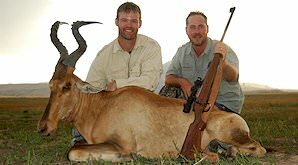 Plains game like gemsbok and springbok are very popular for hunting in this area. 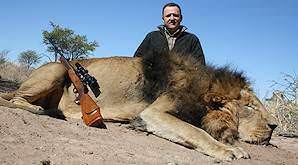 ASH Adventures personally favors hunting lion in the Kalahari. It is also the only member of the Big Five that can be hunted in this area. 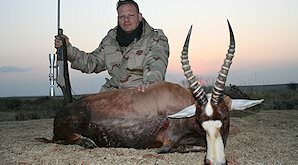 For traditional plains game hunters, popular species such as blue wildebeest, Burchell's zebra, kudu and red hartebeest are readily available. 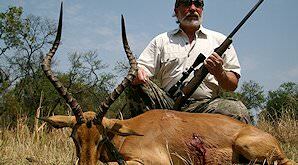 However, it should be noted that the additional costs when chartering a flight to the Kalahari can only be truly deemed 'worth it' when also hunting a dangerous game species such as the lion. 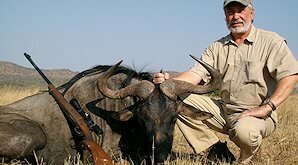 All of the safaris we offer to the Kalahari involve a light charter plane flight from Johannesburg to an airstrip not far from the hunting camp. 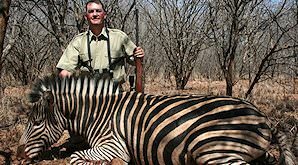 The duration of the flight is approximately two hours, the cost involved between $2 800 and $4 000 depending on the size of your hunting party. The charter flight should depart no later than 2pm. If your international flight arrives at a time that makes this impossible, a connecting night will have to be spent in Pretoria. The Kalahari is best hunted during the autumn, winter and spring months from May to the end of September. The summer months are excruciatingly hot. Winter mornings and nights can be cold, as is the case in most semi-desert areas, so remember to pack warm clothes if you will be hunting in the Kalahari during the months of June, July and August. 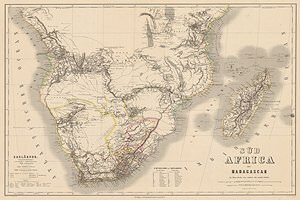 The Kalahari is a vast region where different attractions are often very far apart. Relaxing in camp or accompanying the day's hunt are amongst the only activities available to the non-hunting members of the party. Unbroken red sands, dotted with flat-topped acacia trees and hardy grasses fill a landscape that seems to stretch on forever. The Dutch word 'wildebeest' translates to 'wild cattle'. Black wildebeest are endemic to southern Africa and occur in much smaller populations than their 'blue' counterparts. Closely resembling his cousin the bontebok, blesbok are a popular plains game species among hunters. The white blazes on their faces give them a truly unique appearance. 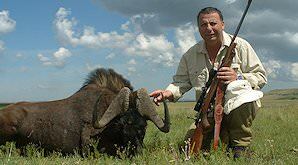 The blue wildebeest is popular among plains game species hunters. Well-equipped with forward-facing horns and muscle, the blue wildebeest can be very aggressive when threatened. 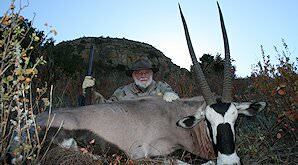 Southern Africa's largest antelope species can also be hunted on a safari in South Africa. 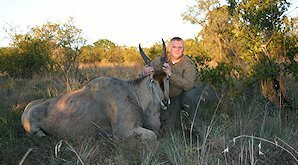 The common eland is second in size only to the rare giant or Lord Derby eland of northern Africa. 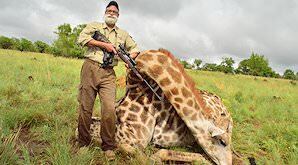 The sheer size and length of the giraffe makes for an exciting hunting opportunity. Though their horns may seem insignificant, male giraffe can wreak grievous injuries on competitors and predators. Gemsbok are well-equipped to survive in harsh environments like the Namib and Kalahari deserts. These large antelope are typically hunted for their strikingly tall horns and unique features. 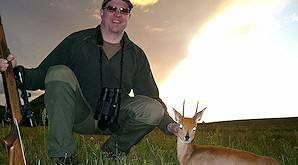 Impala are used for a variety of hunting functions - a beginner hunter's initiation, camp meat, baiting for leopard, etc. This bushveld staple occurs on game concessions throughout South Africa. The black-backed jackal is typically hunted by chance while pursuing another game species. 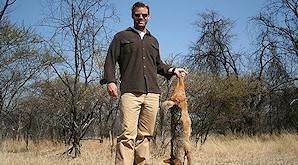 These coyote-like creatures are quite common throughout Southern Africa and hunted quite frequently. 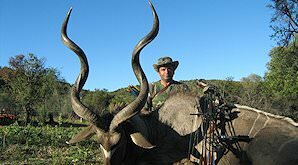 The majestic kudu bull is sought-after by hunters for its remarkable spiral horns. These horns can exceed 60 inches in length and are prized by all hunters. The greater kudu is the sub-species hunted in South Africa. The largest member of Africa's big cat family and king of the Big Five, lions often crop up in the dreams of hunters wishing to hunt on the 'dark continent'. 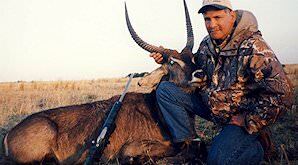 A hunting safari in southern Africa will help you realize this dream. This peculiar-looking swift antelope makes for a great conversation piece. As the 'beest' enjoys frequenting the open plains, your shot may often be taken at a longer distance. This little antelope can be quite elusive and may even adapt its feeding habits to avoid detection by possible threats. Steenbok typically frequent areas that provide dense cover to ensure their safety. 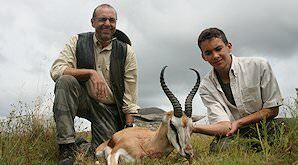 South Africa's national animal poses an exciting hunting opportunity in South Africa. These accomplished jumpers enjoy the open plains of the eastern Free State and the Northern Cape's Kalahari region. The waterbuck is among the larger plains game antelope species that can be hunted in Southern Africa. As its name implies, look for it near water sources such as dams and rivers. Burchell's zebra (or plains zebra) are favored for their dazzling skins, which make fine rugs. Common throughout Southern Africa, Burchell's are distinguished from other zebra sub-species by their shadow stripes.